Today we highlight tremendous business analyst and post-consulting leadership jobs at Uber. Uber is a San Francisco-based start-up that has been turning heads since its launch in 2009, “bringing people and their cities closer.” The first example that comes to mind when you think of the new sharing economy, Uber has fashioned itself as a quicker, cheaper and ultimately better alternative to taxis. With its lineup of different options – UberX for everyday use, Uber Black for a nicer sedan, Uber SUV for groups of 6 or more, Uber Lux for a luxury pickup, and even the new UberEats – Uber has a variety of ways to get you where you need to go! If you haven’t used Uber yet, you should use it to explore a city near you! Uber was founded in 2009 by Travis Kalanick and Garrett Camp, and the accompanying Uber app was launched the next year in June. Operational worldwide, Uber offers its transportation network services in 58 countries and over 300 cities. Estimated to be valued at around $50B as of July 2015, Uber has experienced a rapid (to say the least!) seven years of growth. The company prides itself on its innovative, forward-thinking culture, and believes that its work is a reflection of that culture. At Uber, no problem is too big to solve (and so far, no city ordinance cannot be overcome!). Uber’s San Francisco headquarters are laid out in an open format that encourages collaboration between teams, not to mention great views of San Francisco. Employees are offered unlimited paid time off, restricted stock units, and healthcare benefits that Uberites rave about. Needless to say, the benefits are nifty, and the pay is above-average as well. Uber allows anyone with a smartphone and a credit card access to transportation in their city, and offers almost anyone with a car the opportunity to drive and make money. In the same way, Uber allows any employee in any role the freedom to submit and subsequently implement a good idea. Politics do not play a main role at Uber; good ideas are recognized and people are promoted based on numbers, data and analytics. Ask anyone who’s worked at Uber, and they’ll tell you the people who work there are second to none. Uber actively looks to hire only the best, and both current and former employees rave about the smarts, drive, and engaging personalities of their co-workers. However, there are things to be aware of when investigating potential opportunities at Uber. The work/life balance is known to be out of whack, with 80-100 hour work weeks common (so for those of you looking for better hours after working in consulting, you may want to look somewhere else). Uber expects an all-in commitment from you to make sure that the company is successful in the city or market you are working in. Generally, many employees feel a lack of appreciation from the company because long hours are expected, and the other parts of their lives they sacrifice are not noticed. In addition to the long weeks, Uber is growing so rapidly that company structure hasn’t yet caught up to the myriad of problems that arise. It is not uncommon to go to two managers about a problem and receive two completely different answers, or to find that the support that you need to do your job well doesn’t yet exist within the company due to everyone being stretched so thin. This is the problem with wanting to go full-speed 24/7 without taking the time to lay a solid foundation that will sustain success. For a hot tech startup, Uber has been known to be rigid in its processes and systems despite employee complaints about what is needed for them to do their jobs better. This rapidly growing company has had to adjust on the fly to new challenges it has faced in its short history, including legal battles in almost every city and on almost every continent. Therefore, just like any other tech startup, Uber needs innovative thinkers, risk-takers and learners who aren’t afraid of challenges and priorities shifting at a moment’s notice. Uber looks for and only hires the best, so be prepared to be asked what makes you stand out when you go in for your interview. The typical hiring process from application to offer will vary largely depending upon the position that you are applying for, but you can expect the timeline to take anywhere from 2-8 weeks. First off, you can expect to connect with a recruiter for a general phone interview. Expect this to take up to 30 minutes. Once you pass the phone screen, this is where the fun begins! You will be interviewed in either Uber’s corporate HQ in San Francisco, or in the regional office which corresponds with the region you will be focusing on. Don’t expect Uber to pick up your travel tab; we’ve heard from many interviewees that they had to pay their own way to the interview. If you are applying to be a Senior Software Engineer, you can expect the in-person interview round to consist of two coding questions, an architecture question, a business case question, as well as a fit interview. At Uber, all coding interviews are done with CoderPad. Specifically, you can expect Java questions, bucket questions, as well as TwoSum and Knapsack questions. 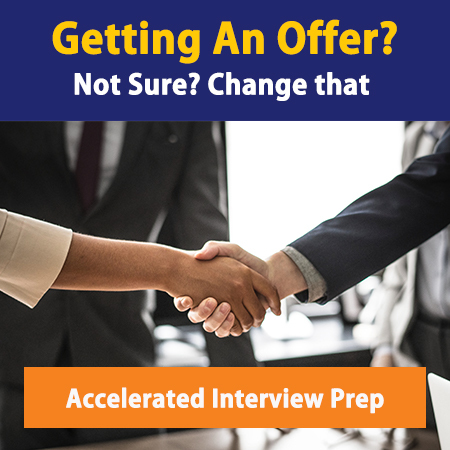 For positions like Operations and Logistics Manager (or something more business focused), you will have to take a 2-hour timed analytical test after your phone interview. Usually 28 questions long, the majority of this test will consist of data analysis, while the remainder will be focused on more open-ended questions, such as what kind of metrics you would recommend to use to measure a certain category (demand, for example) in a certain market. There may also be up to four essay questions at the end of the test, with some examples of questions including Which bonus structures would incentivize drivers best? and How you would sell an existing taxi driver on Uber? For most positions, you can expect the final round interview to take at least 2 hours and consist of four separate 30-minute panels of 3-4 members each. You will want to make sure you have become a master at walking through your resume in under two minutes, as this will be one of the first things you will be asked to do. The questions will be very Uber-specific (i.e. What would you do in a certain situation?, How would you convince a driver not to leave Uber for a competitor?, How would you introduce Uber in a new market?) and less about your prior experiences and skill sets. You will have to do more than simply walk the interviewers through your mental process; you will have to verbally walk them through your math as well (eek!). You must do this well, or you will not land an offer. Be prepared before interviewing, as the questions you will receive are both behavioral (Why Uber?, How do you keep organized?) and technical (math!) in nature. They are known to be thorough interviewers, so don’t go in without preparation. After you receive an offer, Uber generally doesn’t negotiate much. The exception to this can be found if you show Uber you have competing offers. In this case, they have been known to negotiate with interviewees they really want. Uber’s lack of negotiation is mostly due to the already competitive nature of their pay scale, and the incredible benefits package they provide. Uber is a rapidly growing company making life easier for millions of people worldwide. With a mission-driven purpose and hard-working culture, they are one of Silicon Valley’s premier employers. Learn more about Uber careers on their Careers Page. As always, network, network, network, and ask the right questions to see if this is the next best fit for you. Are you looking for a consulting or post consulting job but don’t know where to look? Tired of going through headhunters and receiving minimal prospects? Want access to Management Consulted’s exclusive list of consulting and post consulting jobs? If so, then click here to gain access to our job board. Are you an employer, recruiter, or hiring manager? Are you having difficulty finding qualified candidates to fill your positions? Let us help you. We have an exclusive community of highly qualified job applicants and a job board for just these reasons. To add your jobs to the job board and gain access to our highly qualified candidates, click here. We offer resume editing and interview prep. Through one-on-one sessions, we’ll help you stand out from 1000’s of other applicants and land consulting jobs now!